Adorable custom built mini-portable jewelry cabinet! 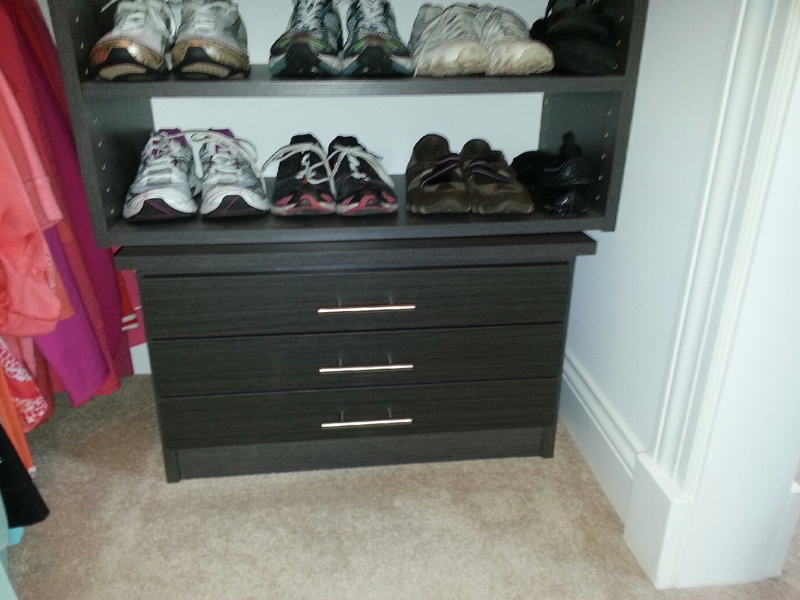 This North Center homeowner had an existing closet system and needed more jewelry storage. 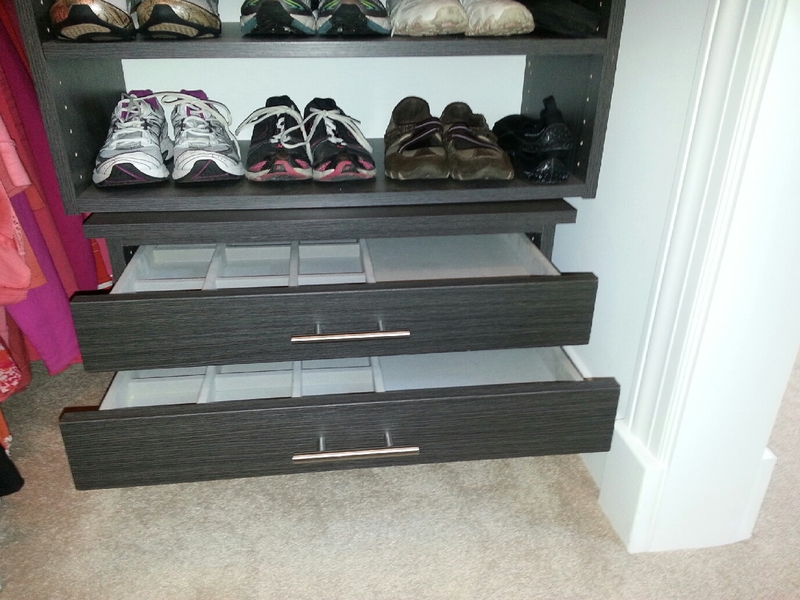 The homeowner was not interested in removing and reassembling the existing system to add jewelry drawers. 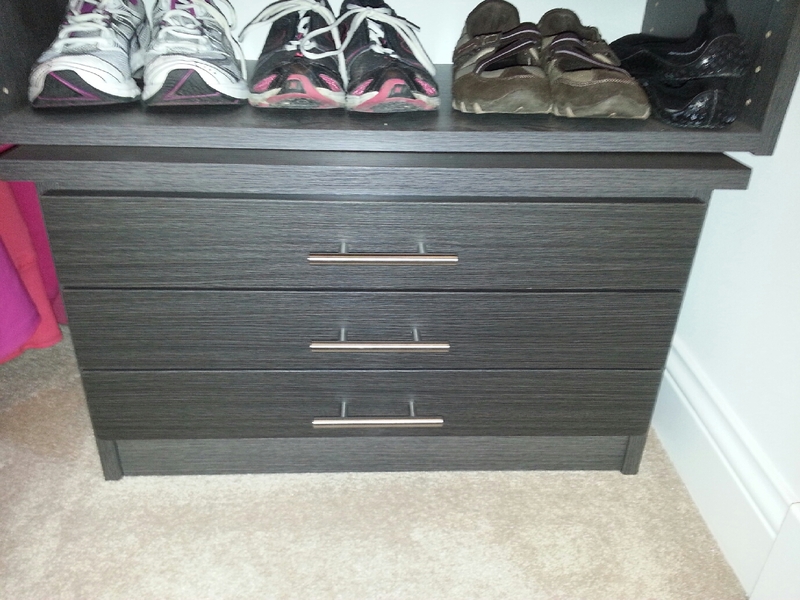 Instead, we built this small portable cabinet with jewelry drawers. It’s fits perfectly under their existing shoe tower.